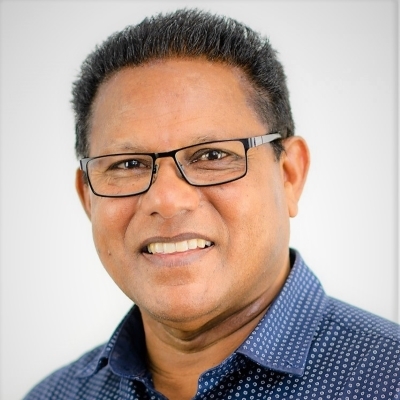 Mathew Kuruvilla has been the Senior Pastor of Parkside Church for over 30 years. Parkside Church is a diverse church, with people from over 60 different nations making it their home. Mathew’s vision is to see people from all different ethnic backgrounds in our city come to know the Lord, and worship together as one big family of God’s people. Mathew is a Morling graduate with several years of experience in cross-cultural ministry, including time on board the OM’s ship Logos and ministering among various communities around the world. Mathew is the author of ‘Church without Borders’. In his book he details the Parkside story and theologically engages with the need for multiethnic churches, offering practical suggestions to help build and nurture Christian communities of people from a variety of ethnic backgrounds. Mathew is married to Savi and they have two adult children and a daughter-in-law.